I’m 10 and I like to read longer books as I get older. One book that caught my eye at Barnes & Noble was “The Thing About Jellyfish”. You can get this book free through their Summer Reading Program. So I plucked it off the shelf and as soon as I got home, I plopped down on the couch and settled down to read. After the first chapter, I was in the book completely. I liked The Thing About Jellyfish because Suzy Swanson, the main character, is a quiet person. I’ve been reading a lot of books about quiet people lately, and they’re really good. Sometimes you feel like a book is going to be boring, and you don’t really want to read it. With The Thing About Jellyfish, that it is definitely not boring. This book is about a girl named Suzy, whose friend died from drowning. Suzy wants to find out what happened, and ends up going on a trip to try to find answers. The book was very interesting and I couldn’t wait to see what happened at the end. I highly recommend reading this book because it is great and it doesn’t have too many characters. Thank you, I hope you like the book! Visit the Barnes and Noble summer reading page for more info. You can print a PDF copy of their summer reading journal to earn a free book, which includes The Thing About Jellyfish! 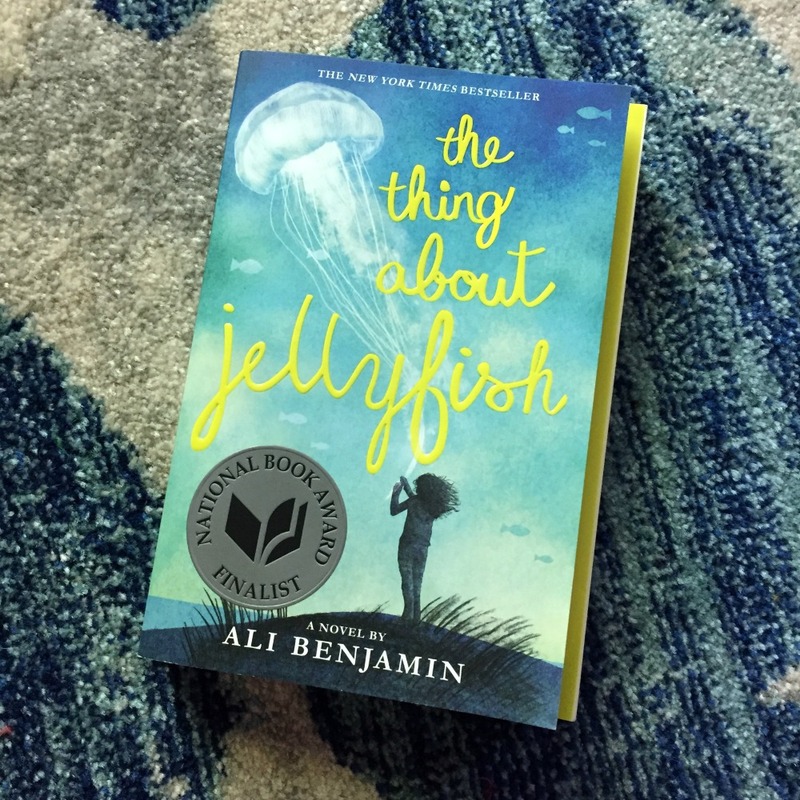 The Thing About Jellyfish does sound like a terrific and interesting book to read. I do like the cover too. I learned how to read very early. I’ve always enjoyed a good book and when I find out I often don’t stop reading until I’ve finished. Sounds like a good book to read! I hope she does find out what happened to her friend. Dealing with death is always hard!